"California Governor Jerry Brown on Wednesday imposed historic water controls on the drought-stricken state. But who will the burden of conserving water fall upon? Here, nine numbers that explain the new measures... 50 million square feet - The area of lawns throughout the state to be replaced by “drought tolerant landscaping,” in partnership with local governments. The plan will also require university campuses, golf courses and cemeteries to make “significant cuts” in water use, Brown said." "PACIFICA, Calif. (KGO) -- The California drought is taking its toll on lawns around the Bay Area and the grass is as dry as the weather. 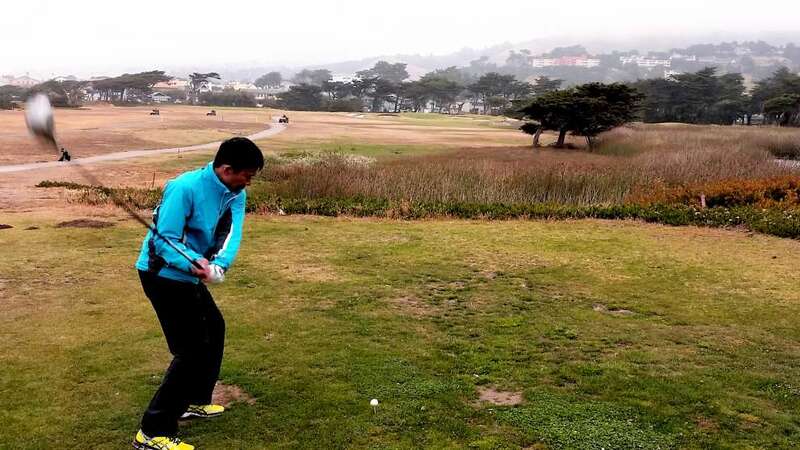 Golf courses, like Sharp Park in Pacifica, are no exception. They have had to cut back millions of gallons of water. A few golfers on the course have actually begun to embrace the brown grass look and like how it plays. Some we spoke to said they understand the drought is going on and think the whole course doesn't have to be green... At Sharp Park, they save 15,000 gallons a day by using recycled water on 20 percent of the golf course. The rest they sprinkle conservatively. Fun part of it is the dry grass and ground has some golf shots rolling 20 percent farther... The look is a natural fit for Sharp Park since it is a seaside golf course, designed by one of the greats -- Alister MacKenzie from Scotland. Some players today say they wouldn't mind if the brown spots on the course were permanent since it is a natural look for the coastline." A brown fairway means we save water and get longer drives. What's not to like?